The weather has been wonderful in the past few days, with temperatures topping 30 degrees in some places. Of course, we all enjoy this beautiful summer weather. But a few days of summer can raise the temperature of your pond water as well. Every pond owner needs to be on the alert! As the temperature of the water rises, the amount of oxygen in the pond drops. Because the higher the temperature of the water, the lower the oxygen level. A lack of oxygen can kill fish and turn water green as algae grow. “Aerate, aerate and aerate” is the motto. 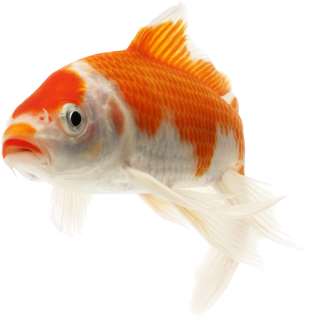 The behaviour of your fish can tell you a lot about oxygen levels in your pond. If oxygen levels are too low, the fish will often be moving lethargically and gasping for air on the surface. They will also swim in the places where there is most oxygen: near the bottom of a waterfall, for example. Fish dying from a lack of oxygen don’t look ill. And the largest fish will usually die first because they need most oxygen. There are also fish that need more oxygen than other species, such as ide and sturgeon. Plants and algae consume oxygen at night rather than producing it. As a result, oxygen levels in a pond will be a lot lower in the morning than during the day or in the evening. So fish will generally die in the morning when a lack of oxygen is the problem. And the oxygen levels in your pond will also be lower when it contains organic waste such as soil, sludge, plant debris or excessive feed, and when it is overcrowded with fish (and affected by the waste they produce). This is because the bacteria in the filters and in the pond itself break down the organic waste and consume large amounts of oxygen in the process. That organic waste also generates excess phosphate and nitrate, stimulating the growth of algae and turning the water green. Ponds with relatively small surfaces take less oxygen from the air than ponds with larger surfaces. Smaller ponds are therefore more susceptible to oxygen shortages than larger ponds. Watch out for summer storms! Air pressure can drop rapidly before and during storms of this kind. Oxygen levels in your pond will therefore be even lower. Because the lower the air pressure, the less oxygen gets mixed into the water. So oxygen shortages can have different causes and they will be seen mainly during warm weather. But what can you do about it? During long periods of hot weather, install an air pump with an air stone in the pond if there is usually no water circulation. Installation is fast and straightforward. You can also keep the water circulating permanently by installing a waterfall, a fountain or a pond filter. A filter will also keep the water cleaner. If you already have a filter pump, aerating sets, waterfalls, fountains and so on, keep them working as much as possible in the hot summer months. At night as well! “Aerate, aerate and aerate” is the motto when it comes to maintaining oxygen levels. In acute cases, but also when temperatures are high for long periods, and particularly when stormy weather is on the way, oxygen levels may have to be raised quickly. Don’t worry: take immediate action. Do everything possible to oxygenate your pond by increasing circulation in the water. For example, install an air pump with an air stone. You can also inject or pour water into the pond using a garden hose or even buckets. In short, get the water surface moving as much as possible.